There has been no census yet, but Jammu and Kashmir could have the largest population of philosopher-cricketers in the world. Where else could you possibly hear a college cricketer say, "Yeh zameen, this ground here, speaks for us. It asks, what has been done to me? What is going to happen to me?" Only in Jammu and Kashmir do men laugh while remembering the badkismati [misfortune] of being young cricketers in the 1990s, when playing the game was an act of disobedience. About running to safety with pads on, away, away from the ground, when they heard a fusillade of gunshots. "We were quick, weren't we?" Could mid-pitch discussions between two Ranji batsmen - one from the Kashmir Valley, one from Jammu, one Muslim, one Hindu - in a tight, match-changing chase anywhere else involve this question: "Yaar, lekin jeetenge-haarenge, azaadi kahan se aayegi? [Whether we win or lose, where will freedom come from?]" These days, when two Kashmiris run into each after ages, says photographer Javeed Shah, they fall into each other's arms with wide smiles, saying, "Aap bhi zinda ho? [You're alive too?]" Cricket season in the rest of India is ending but in the Valley, encircled by the Himalayas and their foothills, it is trying to break free. As summer begins to scorch the earth elsewhere, the Valley yearns for the first stirrings of spring. People long for weak sunlight to break through the grey days, for shoots to push their way through cracks in walls and the once-frozen ground. 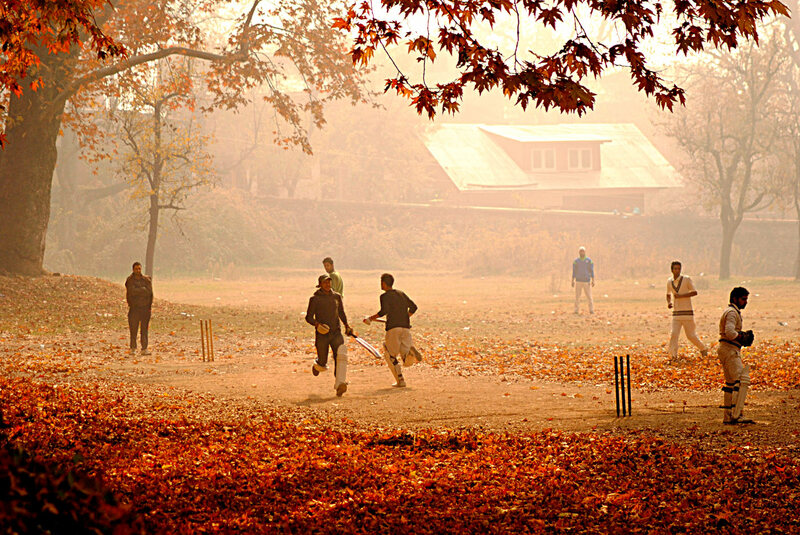 Jammu and Kashmir should be the place where the sun never sets on a cricket season. The game could follow sunshine all year round. Except it rarely does. Cricket exists in two distinct halves here: Kashmir Valley and the Jammu province, unable to operate in either as a united whole. The similarities are to do with inadequacy. Of turf grounds in the state - either side has just one. Of a single, unified, organised structure of tournaments or leagues that can help their best cricketers play matches year round. Of the financial nous or drive to handle multi-crore-rupee stipends and handouts from the BCCI. Still, in the twilight zone that is cricket in Jammu and Kashmir, they play. In towns, villages, alleyways and street corners. There was a time when football was considered the No. 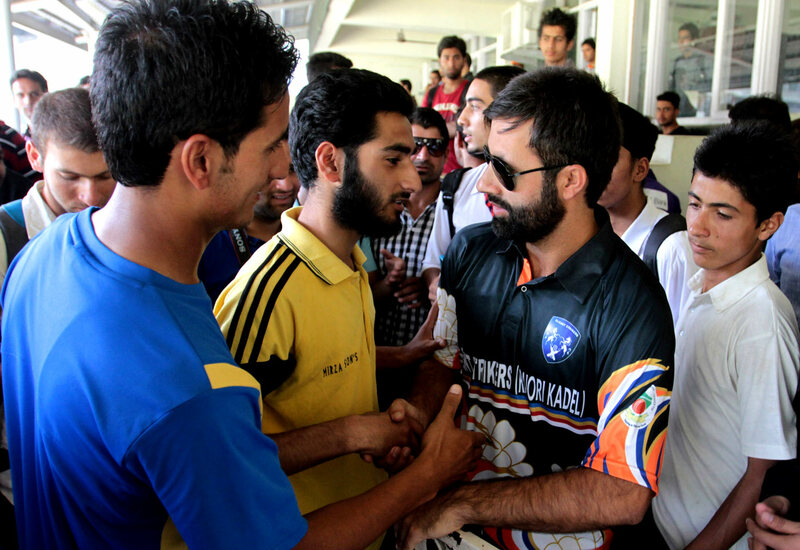 1 sport in the state and Kashmiri players found a place in the national team. Today, if cricket has not quite taken over, at least it stands firmly alongside. On a random weekday afternoon, in a ground the size of a largish football ground with an outfield like a country road that has seen better days, a "Champions Trophy" is in progress. It features 32 teams from villages and clubs in the area. The home side, Baramulla Caribbean, start their match against Singhpora A like the stars do on TV: with a team huddle. The winner of the tournament will get Rs 15,000 (around US$240), the runner-up Rs 7500, and men of these matches are sometimes rewarded with kit, bats, shirts. The Baramulla team had their own ground once, "up there" - the organiser, Mudassir Farokh Dar, points towards a hillside - but it filled with water eight years ago and was put out of use. Their venue now is this village, Delina. Mubashir Hussain Rathar, a local, says teams come for the tournaments here from as far away as Uri, about 60km west, close to the Line of Control that struggles to control friction between India and Pakistan. A village called Wagoora, just over 10km south, fields four teams of its own. There is also, Rathar says, a Delina Cup between 16 teams from nearby villages, with cash prizes. Such enthusiasm, you ask - is this actually about satta (betting)? The boys gathered around are open-mouthed, goggle-eyed. The young men burst out laughing. Dar and Rathar are offended. "Satta!? Tauba tauba, nahin. Woh sab nahin karte hain [Betting? Good Lord, no. We don't do that stuff]." It is about being able to play. For the fun of it, for winning, for something. In the town of Anantnag, the stadium is just behind a taxi stand. A woman emerges from a house alongside one stand to hang her clothes on the boundary fence. In one corner of the field where a match is on - they do love their champions leagues here; this is Anantnag's version - a man squats on his haunches and cuts the overgrown grass with a scythe as a dog wanders about looking for some sun to loll in. 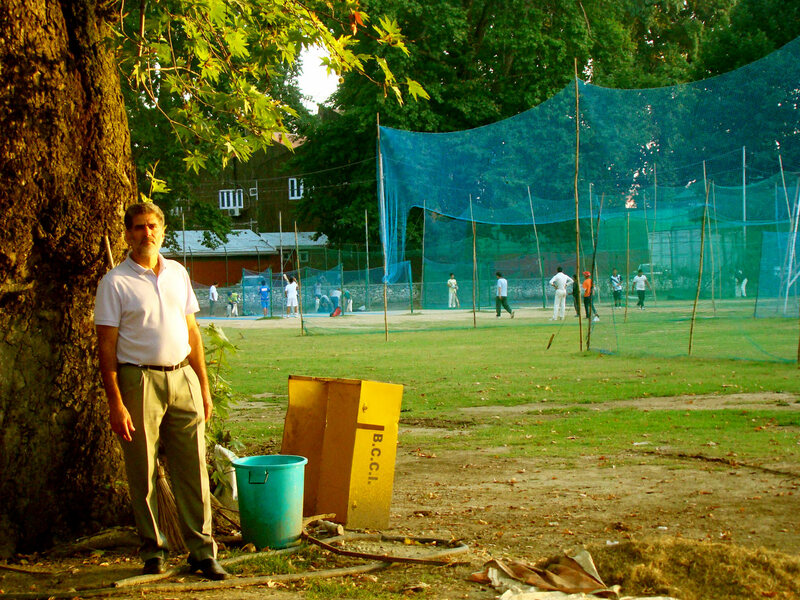 "There are ten districts in Kashmir and the best cricketers come from Anantnag district," says Mohammed Altaf, a former district cricketer and one of two main men behind the District Cricket Forum, formed in 2002 to rattle and rail against official apathy. It is not an empty boast: to begin with, the state's two most famous cricketers - Abdul Qayoom and Parvez Rasool - belong to the region. Altaf and his friend Gulaam Rasool, a former district captain, run eight to ten tournaments a year. Between 130 and 150 teams take part. "Our talent is speaking for us. Maximum boys from our district go to affiliated clubs. And this is our ground," Altaf says. In many Indian towns over the last decade, grounds with billiard-table outfields and practice wickets have sprouted like mushrooms gone mad. Yet Anantnag's ground looks increasingly frazzled and tattered compared to the one I visited ten years ago. Anantnag has kept buzzing because the region's cricket "enthusiasts" - to restore credibility to the word - don't give up. Altaf and Gulaam Rasool set out as player-organisers in 1996: they were the batsmen who ran two kilometres, pads on, to flee gunshots. 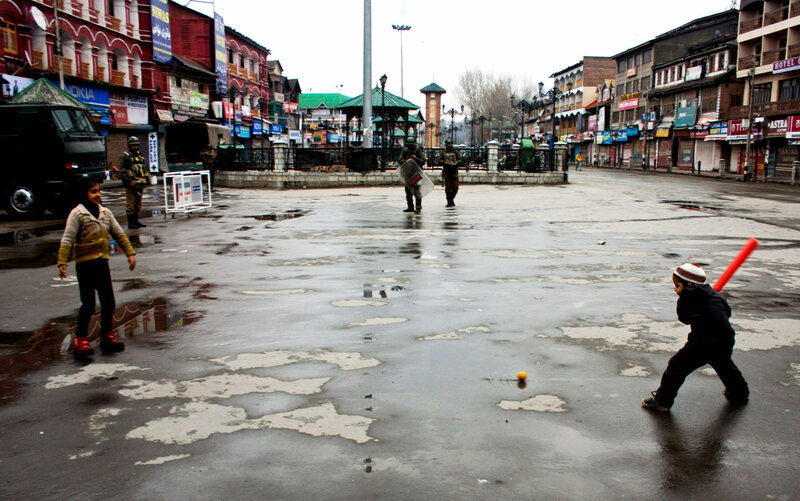 The gunfire is mostly silenced now but Jammu and Kashmir's cricket staggers along, inchoate, discordant. After a breakthrough 2013-14 season - when they qualified for the Ranji Trophy quarter-finals for the first time - their 2014-15 outing among the elite began with surging victories and ended with them collapsing in a heap. In the 50-overs Vijay Hazare competition, they beat Delhi (who fielded Virender Sehwag, Gautam Gambhir and Ashish Nehra), Services, and Haryana. Then in the Ranji Trophy they walked into the home of 40-time winners, Mumbai, and smacked them on the nose. This just three months after the unprecedented floods of September 2014 had devastated their homes and claimed over 250 lives. The word went out: Jammu and Kashmir's team was ready to stand tall. Compelled to play all their matches away, they travelled from Mumbai to Dindigul to Vadodara to Kanpur to Hubli to Kolkata to Delhi to Indore. 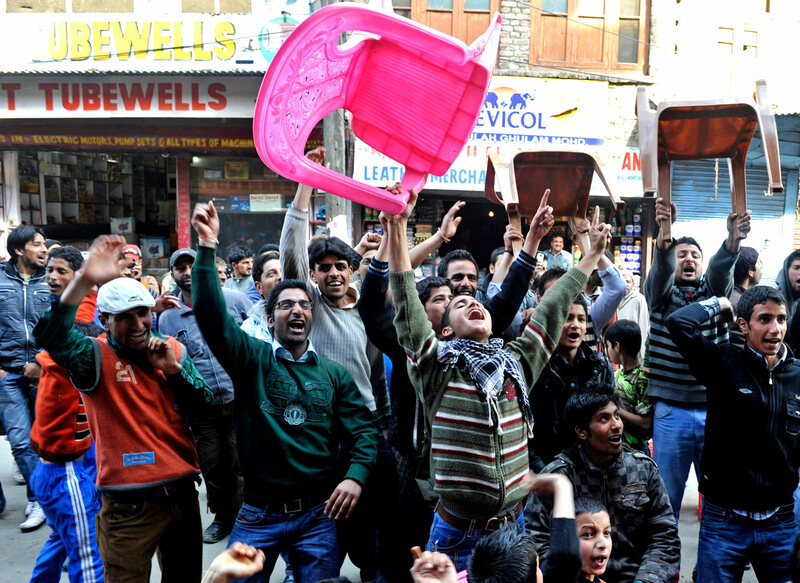 Wherever they went, the Kashmiri community turned up to watch. Five hundred strong in Mumbai, a hundred in faraway Hubli, a few dozen in other places. To a man, the team said to anyone who listened, their best cricket was a tribute to the victims of the floods. Yet what started as a heady, emotional campaign finished in a string of poor performances. After the win against Mumbai other teams sent a clear message to their curators: no greentops for J&K. As the results began to dip, there were bizarre selections. There was much chuckling about the increase in the size of the travelling contingent as the season headed to a close. The new regime at the Jammu & Kashmir Cricket Association (JKCA), players say, had no choice. As chances of making the knockouts vanished, debts had to be paid to electoral supporters from the last round of voting. A former player spelled it out with spice: "The structure of J&K cricket is so bad, kabaddi players can replace you." The faces of JKCA officials crumple with distress at such allegations. They are, though, aware that well before their cricketers made news, administrative horror stories about unsubmitted accounts and unpaid players did. In a voting group of 67 - 37 in the Valley and 30 in Jammu - there are "four to five groups". This would be comic if its consequences were not. For two years the BCCI held back JKCA's stipend for failure to provide accounts for funds totalling nearly Rs 60 crore (about $9.5 million) - an act popularly referred to as a "fund blockade". The loss, many Kashmiris believe, has been Indian cricket's. Samiullah Beigh, former Ranji captain and a fast-bowling allrounder, says the state is a ready-made factory for tough, strong fast bowlers. But the J&K team has suffered a bigger loss. The BCCI stipend is meant for infrastructure. The team finds bowling machines, practice wickets and indoor nets wherever it goes. Everywhere except in their backyard. Idris Gandroo, joint secretary of JKCA and a former Ranji player, is at pains to point out a push towards change. The Central Reserve Police Force battalion, which had occupied the JKCA building in the Sher-i-Kashmir Stadium in Srinagar and turned dressing rooms into ammunition storage houses in the 1990s, is now consigned to a corner of the complex. There is a gymnasium on the pavilion ground floor. The land adjoining the stadium was cleared to create cement strips for practice wickets. The turf in the centre was remodelled with its centre block consisting of three playing strips. The players complain that it rendered the wicket flat and dead, but then players always complain. For the first time, Gandroo points out, there were age-group selection trials held in various corners of the Valley, rather than candidates being asked to turn up in Srinagar. But no one could have accounted for the floods. It turned the Sher-i-Kashmir into a lake, the practice wickets into a swamp, and wrecked whatever passed for the state's internal domestic season. Not even Jammu could have helped; the entire state of Jammu and Kashmir was marooned. Before the floods burst upon the Valley, it was said that Jammu and Kashmir was fine, nothing like the bad old days of militancy - and it was. Ten years after my last visit, Srinagar is "growing", being "developed" like every other smaller Indian metro that belongs to a category called Tier-II cities. Roads are dug up, new flyovers blot uninterrupted views of the mountainside, cars and trucks honk, coffee shops serve affogatos and calzones. In Srinagar's Sangarmal Mall a suitable demographic of window shoppers loiter. If not for the chill of a Valley winter, this could be anywhere in India. Except, in the corner of the eye, there remains an awkward omnipresence, which reminds you that while things are much improved, it is not normalcy. Everywhere men stand in uniforms, carrying automatic weapons. No smoke in the air or the muffled echo of what gun battles are supposed to sound like. But uniformed men with guns standing about on the road do not belong to the everyday. Sher-i-Kashmir carries its own reminders. 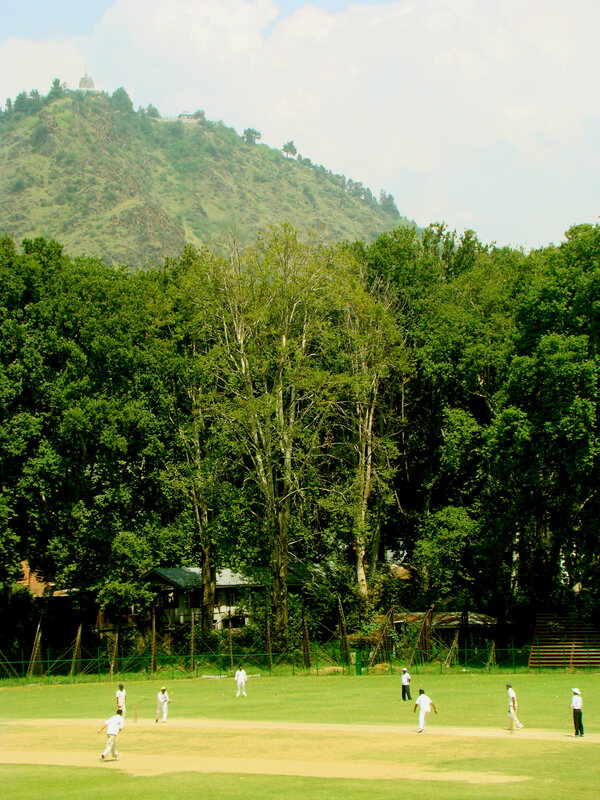 It is a cricket ground of dramatic beauty, surrounded by a ring of towering chinar trees and the Shankaracharya Hill, covered with evergreens. It oozes grandeur and decrepitude, with rusted bleachers, wooden scoreboards and new pavilion blocks. The environment around it is stifling: a bunker, a stack of sandbags, some barbed wire, uniformed men with guns, checkpoints. The ground lies in a high-security zone, surrounded by the chief minister's office, the chief justice's residence and the circuit house. Cricketers lugging large kitbags can still be frisked. In the past, lunch boxes were put through metal detectors. Over decades, Jammu and the Valley have bickered and argued, offering one candidate versus another in selection meetings and, on some occasions, even two teams for a single game. "Jammu cannot spend the BCCI's money properly." "Srinagar doesn't have the infrastructure." "'Obstructionists get voted into Jammu." "Srinagar has the direct line to big boss Farooq Abdullah" (who mostly likes to play golf). Yet the officials are quick to point out that the squabbling, the Jammu v Kashmir, is not about the population demographic, Hindu v Muslim. "It is not about religious differences," says a Valley official, "it is all about power." In the state team, power struggles are instinctively diluted because there is cricket to fill in the cracks. The players have grown up together - Samiullah, Hardeep Singh, Parvez, Ram Dayal, Adil Reshi, Ian Dev Singh, Mohammed Mudhasir - all the way up through junior cricket. Competitors, team-mates, colleagues, friends. During their breakthrough season in 2013-14, as J&K surged towards an outright victory over Goa at the Shere-i-Kashmir, 25,000 people packed into the ground to watch a batsman from Jammu and a bowler from Srinagar put together a match-winning eighth-wicket partnership. TV crews rushed over, giving the young men in the stadium an AV-opportunity for political protest: "Aazadi, aazadi [freedom, freedom]", they chanted from one stand as victory drew closer. When the match was won, the batsmen hugged each other mid-pitch laughing over the raucous chanting and the joy and idiocy of the moment: "Lekin jeetenge-haarenge azaadi kahan se aayegi [Whether we win or lose, where will freedom come from]?" It is how the team pulls through frustration and disappointment, with humour and camaraderie, united in the circumstances they find themselves in as members of a team suspended somewhere between the fringes of possibility and the free fall of cynicism. Ram Dayal Punia, a medium-pacer from Jammu, is referring to the Sher-i-Kashmir Stadium when he says: "The buildings are in a bad shape, I am told, but by now the ground may be fine." He could be speaking about the cricket in Jammu and Kashmir. The structures are shaky but the roots remain strong. The road heading out of Srinagar is a nonsensically narrow national highway. Only where it heads towards military establishments does it suddenly smoothen or broaden out. Elsewhere, at most it is two lanes, and around it the air, much clearer, closes in on the traveller, carrying with it the scent of riches. Apples near Sopore, the paddy in Pulwama, the musk of the earth around Pampore's saffron fields. Then the sheer intoxication of fresh sheermals, bakarkhani and kulcha from a stretch of bakeries that huddle together in Bijbehara's main market. Bijbehara was known from tattered tourist maps as being the home of Jammu and Kashmir's tallest chinar. The tree, 92 feet tall, was toppled off the charts a few years later but the town found a newer, taller, mightier totem: Jammu and Kashmir's first cricketing star, the destroyer of stereotypes. Speak Parvez Rasool's name, ask for directions to his home and men gather themselves to their full height, chests puffing, grins wider than dinner plates. 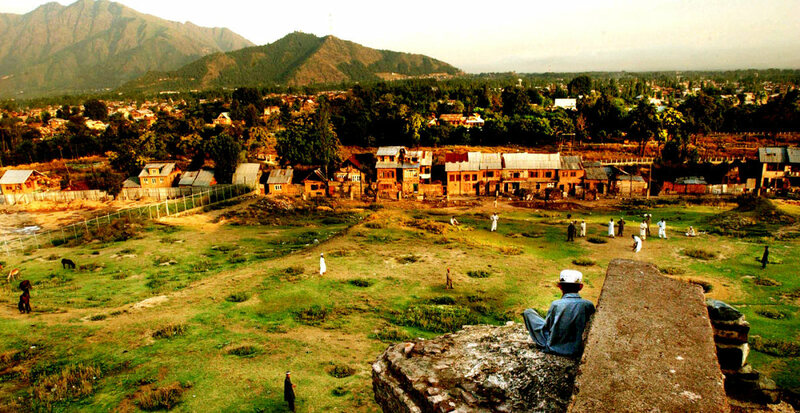 The town breathes on either side of the national highway from Srinagar south to Jammu, its main drag leading off into streets that wind through paddocks, fields, the odd orchard, clusters of poplars and the larger houses. Like Rasool's house, two storeys and an attic, with wooden beams hidden under red roofs. Rasool moved his family from a much smaller residence on the main road to this quieter part with more trees and a welcoming yard for his new car - a Swift Dzire that replaced his old Maruti 800. In the madness of the September deluge, as flood waters rushed into the compound and forced the family to take refuge on the first floor, Rasool waded over to the car, against his family's wishes, and pulled his cricket bats and kit from the boot. These were the tools of the trade that had brought him there. "If you give your cricket respect," he says, "the game will give back to you. I never throw bats or use anger or kick at my cricket equipment." Rasool's career has struck a note so resonant that its ripples are reaching the furthest corners of the state. Anantnag. Bandipora. Baramulla. Bijbehara. Pulwama. Sopore. Shopian. In the rest of the country, these names are associated with "incidents", "attacks", "massacres", "encounters", "uprisings", "explosions" and "crackdowns", but here the word "Parvez" has become first-person familiar. Rasool's coach, Abdul Qayoom, a fast bowler from Anantnag said to have been as quick as Javagal Srinath, was the first from the Valley to be picked for a national-level squad. Qayoom was followed by Surendra Singh of Jammu and Abid Nabi of Srinagar. Rasool is the man who smashed through. Exactly what he overcame is hard to pin down, but J&K's cricketers speak about the glass walls of history, the barbed wire of bias, and administrative dead ends. After two seasons of consistent first-class performances, Rasool was picked for India A, got himself an IPL contract, found his way into contention for India in two series, played an ODI versus Bangladesh and featured among the World Cup probables. If he were to retire tomorrow, Parvez Ghulam Rasool Zargar of Bijbehara would still have shown that it can be done. That a cricketer from the Valley can make it to the Indian team. Shabir Hussain, roving editor of Trans Asia News is not sure if Rasool, 26, will play for India again. Rasool, he says, is "not a powerhouse" but rather a sober and composed man, an everyman kind of star. There is a fear the Indian state may try and "sweep him up" as a political tool, like it does to anyone in the Valley who achieves national-level success. On the playing fields, though, Rasool's success is the sound of a door slowly squeaking open. "There is hope for us that we too can make the national side based not on territory," says 19-year-old Kamran of Pattan, north of Srinagar. In a geographical area proud of its fast bowlers, Abid Majeed of Baramulla, wiry, bespectacled, says it was Rasool who inspired him to switch to offspin. "He has inspired the future for spin. I started as an opener but now I want to bowl." Rasool shakes his head. "Bahut zimmedaari mehsoos hoti hai [I feel a lot of responsibility]," he says. "Zindagi bilkul badal gayi [My life has changed completely]." There are days he must want to vanish among the strollers and the stragglers on Srinagar's Bund, alongside the drift of the Jhelum, away from the commercial glitter of Residency Road and Polo View. He could have indeed vanished because everything about him is middling: height, build, demeanour, carefully trimmed beard, gentle eyes, easy smile. He is sitting in a dim corner of a friend's restaurant and marvelling at his life. "But I had always wanted to be a cricket player" - like his father and brothers, even if it meant hauling his kit on to a bus and travelling north to Srinagar, 50-odd km, for the Sher-i-Kashmir's turf wicket. He was taken there, along with older brother Asif (who would play seven T20s for J&K) by their father Ghulam Rasool, who had opened the batting for the district. "My father has sacrificed so much. He spent such a lot of money on us even if at that time he thought nothing could happen in Jammu and Kashmir. Many other parents may have taken their kids away from cricket. Not my father; he would still support us." Rasool was left to keep playing; his day could run from 7am to 11pm. He came through the age groups as a specialist No. 4 batsman. "The structure of J&K cricket is so bad, kabaddi players can replace you"
There have been some predictably hard knocks in his life as a Kashmiri cricketer. For two years running Rasool was selected for the Deodhar Trophy but sat on the bench the entire tournament because he didn't represent one of the stronger North Zone sides. There was worse. On Diwali day in 2009, he was detained by the Bangalore police along with his team-mate Mehrazuddin when "traces" of explosives were supposedly found in his kit bag. The team was in the city to take part in the Under-22 CK Nayudu Trophy. For four hours, rage and anxiety swirled around the two boys in the police station, before they were released for lack of evidence. "Of course I was angry," says Rasool, "but you couldn't do anything. I just wanted it to be over." It was in 2011 that the arrival of Bishan Bedi's colourful and mind-altering coaching tenure changed everything - for Rasool and for J&K. Beigh says he may have had his differences with the coach but it was Bedi who "created a culture of belief, of winning in us - nobody had done that before". In Rasool, Bedi found a cricketer who needed his game altered, expanded and enriched. In a tight match, Bedi watched Rasool mop up the last four wickets. His clean action entranced the grand old man, who pushed Rasool towards fine-tuning his bowling. One-stump bowling drills, fitness routines, less red meat, less butter. In no time, Bedi was calling Rasool the country's best offspinner, from a state that until then had only boasted about its largely neglected fast bowlers. The clatter of wickets and piling scores reached selectors. Rasool had always wanted to be a cricketer - but this kind of cricketer? With the phone ringing non-stop, unable to step out in his home state without selfies being sought? It has been an education and eye-opener. "It is such a different world. But if you get exposure as an older person when you see different things, you see things differently." Rasool is 26, an age when cricketers are allowed to consider themselves young, brash, foolhardy gamblers. He belongs, though, to a different place; in Jammu and Kashmir, there has been no choice but to see things differently. As part of his BA degree, Rasool picked English, Arabic, Urdu and a subject called Education. When studying the Koran as part of his Arabic course, he took to reading about other religions and looked for similarities in their teachings. He is a man of faith, believing it helps to "handle everything". He prays, he says, to hold on to what is real: it means refusing to wear his IPL team's alcohol manufacturer's sponsor logo, and dodging champagne showers after victories. "You have to fight it, it is difficult to be like this, but you have to handle it. I pray and ask God for strength to show me the way." Rasool knows he will be questioned at every turn - not about being a loyal team-mate, for he is loved, but about being a loyal Kashmiri, a loyal Indian, and having to pick between the two. There have been Facebook fights over whether playing for India has made him a "traitor". His team-mates tackle the trolls by arguing that cricket is a job that Rasool, and every other Kashmiri cricketer who follows him, must do. A political position is one none of them dares take. "Cricketer ka kaam hai cricket khelna [A cricketer's work is to play cricket]," he says. "I know that performance is everything." It can be dismissed as a safe approach, but it is the one way Rasool can keep himself sane. The loyalty question is the tiny, persistent pebble in the shoe that does not ever hinder but whose annoyance never goes away. It is the awkward question that those from outside the Valley find it hard to ask. Why don't you like our cricket team? Why do you support those other guys? A sports goods shop in Lal Chowk - an army bunker and an armed personnel carrier reflected in its glass frontage - has a poster of the Pakistan cricket team tucked behind its main counter. In a darkened corner indoors, Sachin Tendulkar clobbers some bowler. What? No Parvez Rasool? The man behind the counter is sheepish. "His posters are not yet around." No world champion Indian team? "They are not popular here." A one-line answer to questions about the Indian team peels away layers and layers of assumptions. It is so simple that you are astonished that the entire business is ever thought of as complicated and intractable. "Indian cricket is an essential ingredient in the whole nationalist project," says Muzamil Jaleel, a writer and journalist from Srinagar. "Sport here is informed by politics. Not supporting India is a political act." Here, "India" can take the form of a tense geographical belonging rather than a notion of collective identity. "For me, India was an army man with a gun who could hit you," says Sajid, a teenage cricketer in the '90s and now a lawyer. "If you are carrying a torch while walking at night, the soldier will ask, 'Why are you carrying a torch?' and hit you." Shabir, the editor, describes the idea of India with the delicacy of a Kashida embroidery stitch. "In Kashmir, the army man is seen as your fauji [soldier] and not our fauji." Of course. The fog clears. There are signs everywhere. Driving out of Srinagar airport, the first large hoarding is of the Border Security Force (BSF) celebrating their first brand ambassador: Virat Kohli, in BSF uniform, mischievous eyes, surprised eyebrows and wicked smile looking down on everyone driving into the city. The intention is clear: to demonstrate that the BSF is in sync with pop-cultural trendiness. Who could be trendier than tattooed, stubbled "Cheeku", cricket's superstar? In the light of Shabir's words - your fauji, not our fauji - the memory of that hoarding becomes sharper. In the Valley, he is not Kohli the cricketer. Kohli's cricket has been taken away from him and, with that uniform, he carries an imaginary gun. As much as Jammu and Kashmir's own sportsmen and women try to detach their politics from their sporting careers, India's most feted athletes - its big-name cricketers - find themselves entangled in a larger political cause. "In any other state outside Kashmir," says Shabir, "this is fine. Here the security forces and common Kashmiris are oil and water." It is a truth that is revisited everywhere around the Valley. At the Government Degree College in Baramulla a game has just finished. The teams and their coaches are happy to jabber on about cricket and offer opinions. They have a request to everyone outside the Valley: "Koi bade player ko laao [Let a big player come and visit us]." They go on to tell you that a big player had visited - except, by the time they found out, it was too late. In August 2014, Suresh Raina, himself of Kashmiri origin, whose family moved to Uttar Pradesh in the 1980s, inaugurated an army cricket tournament in the Professor Showket Ali Stadium, Khawajabagh. "Here, it is this ground," says Subzar, a lecturer and coach at the college. "But we didn't know. The ground was shut out." It was a TV-sponsored event, Raina's was a surprise arrival, and he played for Baramulla CC Blues versus an Army XI and won Man of the Match. "We thought our kids would be able to play with him." There it is, again, the umbilical knot between cricket and the army. India's captain MS Dhoni is greatly admired for his "coolness" and trophies. The boys at the Government Degree College are quickly changing out of their whites when one of them says: "Doesn't he wear that uniform also?" Dhoni holds two honorary military positions - as a Lt Colonel in the army's elite Parachute Regiment and the Territorial Army - has military-fatigue detail on his wicketkeeping gloves, has visited the Siachen base camp and the Line of Control, and speaks passionately about serving the army after retirement. The boys in Baramulla stop their Superman-speed change of clothes, shift from one foot to the other and look at each other. "Why? We don't understand that." Those army titles, those army-fatigue gloves. "We want to say to the big Indian players - we are cricketers like you, come and play with us. We want to share the dressing room with them. We want each of them to come, without uniforms, without army. To come and play on this ground with us. We are all cricketers, the same people, one qaum [community]." Jaleel, the Srinagar writer, says: "Language is not important, it is the frames that matter. It might look benign but Dhoni's uniform in Kashmir creates an image that is problematic. It is small but if sport does not bring empathy what will?" For Shabir, a cricket fan, cricket always carried its own lightness of touch. Regardless of nationality, he says, his allegiances were formed on the basis of skill, personality, a cricketer's ability to own a stage. He says, "I hit it off with Sachin immediately", like Sachin is a buddy. Debutants in the same series of 1989, Sachin and Waqar, he says, were his favourites; the matches telecast live, he remembers, only on Pakistan Television (PTV): not much live cricket on India's Doordarshan at that time, remember? In a college in Sopore, a student sets aside questions about team loyalties and representational metaphors to make a simple statement. "It says this country is free, no? So there should be freedom of choice." It makes for a reasonable starting point. Saqib is about 18, and says emphatically, "We feel like this freedom is for other states and not for Kashmir." Amid the heated debate in the Sports Hall - a table-tennis table and rudimentary gym equipment - 19-year-old bespectacled, skinny Talib says with annoyance: "This is the 21st century. We have got a little bit of hope that there is a chance and we can come out. Our ancestors were not given that chance... So now the vision of our people must be challenged. We must not stick to that military time." Saqib's response is immediate: "The conditions must be better for cricket. If we are hoping for better cricket, first of all there should be peace, not threatening civilisations." In the Valley, says a Ranji player, the time for falling back on cricket's quiet strangulation during the dark 1990s as an excuse for every failing is over. "Now we don't do well because of our own weakness. If there is no infrastructure, no grounds, no tournaments, then even if there is no militancy it makes no difference. Any other reason is rubbish." As Parvez Rasool says, "We don't want big stadiums, what we need are turf wickets, everywhere." 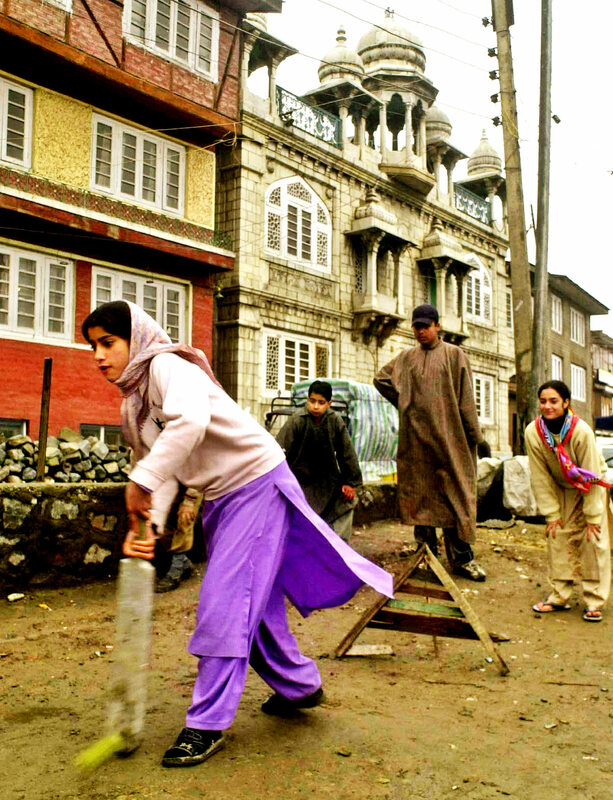 In trying to explain what cricket means to Kashmiris and Kashmiris mean to cricket, maybe a story told by Gulaam Rasool of Anantnag deserves regular repetition. Once in the 1990s, late for the Friday badi-namaaz, Rasool and his team-mates caused a stir when they rushed into a mosque still dressed in their whites. The cricketers heard the buzz of whispers as other worshippers looked at each other. And they heard one of them asking another, "Yeh kaunsi jamaat ke hain [what sect do they belong to]?" Their answer, Rasool recounts, was instantaneous, "Humne kaha hum bat-waale hain [We said, we are the bat wallahs]." In Jammu and Kashmir's cricket history, there has never been a time like this, nor a bunch of bat wallahs like the current team. They are the state's golden generation. To let their labour and their love slip away unnoticed in an old flush of nitpicky, bickering governance would be negligent. This is not philosopher-player country for nothing. Jammu and Kashmir cricket's poster boy is its cricketer-philosopher and theologian. Parvez Rasool says he finds great solace, wisdom and guidance from an ayat [verse] in the Koran. It talks about finding a way to arrive at a meeting point, a common ground, a simple starting point of agreement, a sense of equality and communion. He uses an Urdu word, "yaksa". Its common English translations come up feeble: to unify, to assimilate. Like cricket in the region, the word is left to lie somewhere between meaning and comprehension.